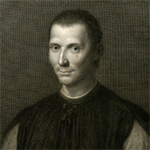 A seminar to introduce students to the writing of Niccolò Machiavelli (1469-1527). This libguide provides an overview for citation management. Learn the basics about RefWorks, EndNote, Mendeley, Zotero, etc. You may search Academic Search Premier, Gender Studies Database, International Political Science Abstracts and Historical Abstracts at once.